Lexus recently rolled out one of the latest attempts by automakers to launch a leasing program that bundles together insurance, scheduled maintenance and other services into a single payment. 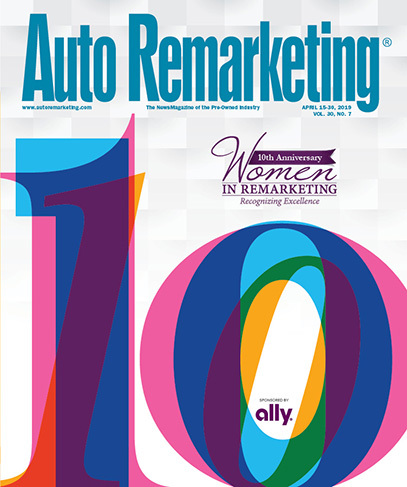 In light of how complicated projecting residual values are in conjunction with traditional vehicle leasing, Auto Remarketing gathered assessments from an array of industry experts who reviewed the automaker’s program that’s available at nearly 80 Lexus dealerships in seven states. To recap, the new full-service Lexus Complete Lease includes a 20,000-mile, two-year term, which combines the cost of the lease with maintenance, insurance and additional services in one monthly payment. The innovative Lexus Complete Lease is currently available for qualifying consumers who choose any Lexus UX available in seven states — California, Florida, Illinois, Indiana, Massachusetts, New Hampshire and Rhode Island. Anil Goyal, executive vice president of operations at Black Book, noted, “24-month leases offer flexibility to upgrade into a new vehicle sooner, but depreciation is also steepest in the first two years, raising the expense. The bundled benefits offer convenience and are likely to appeal to the subscription-seeking customer. “The price point will be important — it will be interesting to see how Lexus prices it. The mileage allowance is low for a typical driver, and the miles overage could add up,” Goyal continued. Morgan Hansen, director of data science at ALG, explained why the residual value of these particular Lexus models makes it feasible for the automaker to try this program. Eric Ibara offered a similar assessment. Ibara is director of residual values consulting at Kelley Blue Book. “As Kelley Blue Book’s winner of the lowest Cost-to-Own award in the luxury subcompact crossover category, the UX seems a natural choice for Lexus to select in its inaugural Lexus Complete Lease program,” Ibara said. Lexus isn’t the first luxury badge to launch this kind of product. Back in November 2017, Cadillac tried a program called BOOK by Cadillac; a luxury vehicle subscription service in New York, Dallas and Los Angeles that was designed to give members access to a variety of Cadillac vehicles on a month-to-month basis with no long-term commitments. A flat monthly fee of $1,800 in addition to a one-time initiation fee of $500 entitled members to experience driving in a variety of different Cadillac vehicles. Registration, taxes, insurance and maintenance costs were included in the monthly fee. Membership was month-to-month, with no long-term commitment required. However, roughly a year later, Cadillac scrubbed the plan. Jonathan Banks, who is vice president and vehicle valuations and analytics at J.D. Power, shared his view of why the program didn’t generate significant momentum for the luxury nameplate. “Cadillac’s concept arguably was not a success because of the high payment and the idea of providing the ability to switch to different vehicles which introduced too much complexity to the program while also not being aligned with demand for their product lines,” Banks said. “Lexus’ program utilizes available infrastructure and learning from employee program car processes while keeping it simple by applying the program to one vehicle which doesn’t disrupt the ‘normal’ buying paradigm of owning one car,” he continued. At roughly the same time Cadillac launched its program, Volvo pushed out an initiative that’s still in operation. Care by Volvo customers can choose a vehicle online and make all-inclusive, monthly payments that cover insurance, service, and maintenance. The 2019 XC40 was the first model available via Care by Volvo. All-inclusive pricing of limited, well-equipped models started at $600 per month before local taxes and registration fees. Ibara mentioned that in Kelley Blue Book’s analysis, the Volvo XC40 placed second to the Lexus UX in cost-to-own in that vehicle segment. “This is significant because Volvo is offering a subscription service on the XC40, similar to the Lexus Complete Lease but also allowing for consumers to trade in the XC40 after 12 months,” Ibara said. “Estimated maintenance and insurance costs for these two vehicles over the first five years are within $400 of each other. “It would be reasonable to expect other manufacturers to look at their depreciation, maintenance, and insurance costs to ascertain if they could be competitive with the UX and XC40,” he continued. “Of course, it may be premature to presume that these types of leases or subscription services are going to resonate with consumers. “However, if Lexus and Volvo are right and buyers find these offerings attractive, other brands will look to imitate these lease products,” Ibara went on to say. Hansen also touched on the possibility if OEMs could find models in their lineup that have similar properties as what Lexus and Volvo enjoy, how quickly momentum for this kind of offering could develop. “Holistic ownership packages like ‘worry-free’ leasing or vehicle subscriptions need to target a specific subset of the consumer base that value convenience over price,” Hansen said. “A limited rollout of alternative ownership programs, like the seven-state program Lexus is launching, is a great way for OEMs to learn what bundle of ownership experiences consumers what,” he added. Banks also emphasized that Lexus’ legacy as a luxury brand also plays well in its favor with regard to the potential for program success. “Lexus models in general have strong residual and resale value performance which makes their brand a perfect candidate for trying out these types of programs because they can create a payment that would be competitive relative to other substitute options available,” Banks said. “The UX like other Lexus crossovers tend to have residuals even higher than the brand’s average,” he continued. “Lexus also tends to be consistent with incentive programs by aligning production with demand to keep their resale performance stable while also pricing vehicles closer to transaction price than other competitors. “The Lexus brand also enjoys a significant residual premium from quality and emotive advantages related to the brand,” Banks went on say. Scot Hall looked at this Lexus from a different prism. Hall serves as executive vice president at Swapalease.com, a website that connects vehicle lease holders who want to exit their contract and allow another consumer with similar credit standing and financial capability to finish the duration of the contract. Site users include individuals who have a life-changing event such as the birth of a child, necessitating a vehicle change, to people who simply want to switch. “I like the idea of a single payment and I suspect many automotive consumers will, as well, but it remains to be seen just how good of a deal will be offered. Most Lexus vehicles lease well because they are above average when it comes to resale (holding their value),” Hall said. “Of course, this means higher residuals ultimately equating to attractive lease payments. There is no mention that the offerings under this program have any different residual values than they did prior to the launch of this new all-inclusive lease offering. Whether it’s Lexus or Volvo continuing their initiatives or perhaps mainstream badges unveiling similar programs remains to be seen, according to Hall. “How quickly and strongly a program like this catches on is dependent upon the value proposition,” he said. “If an all-inclusive program is $500 more a month than what the items could be had separately, then it will not catch very quickly or at all” he said. “If the items can be bundled at a price near or less than what could be done separately then it has huge potential. Program pricing will be the key ultimately. This almost feels like a hybrid between standard leasing and vehicle subscription models,” Hall went on to say.